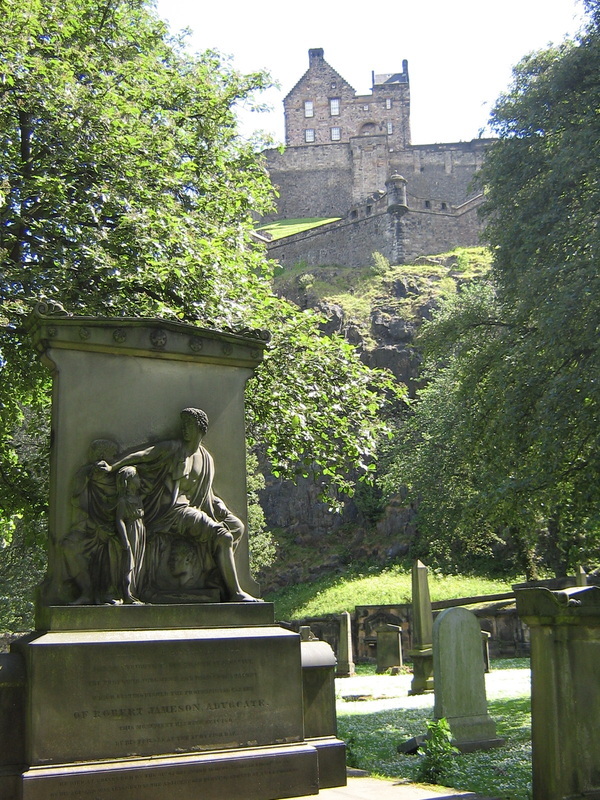 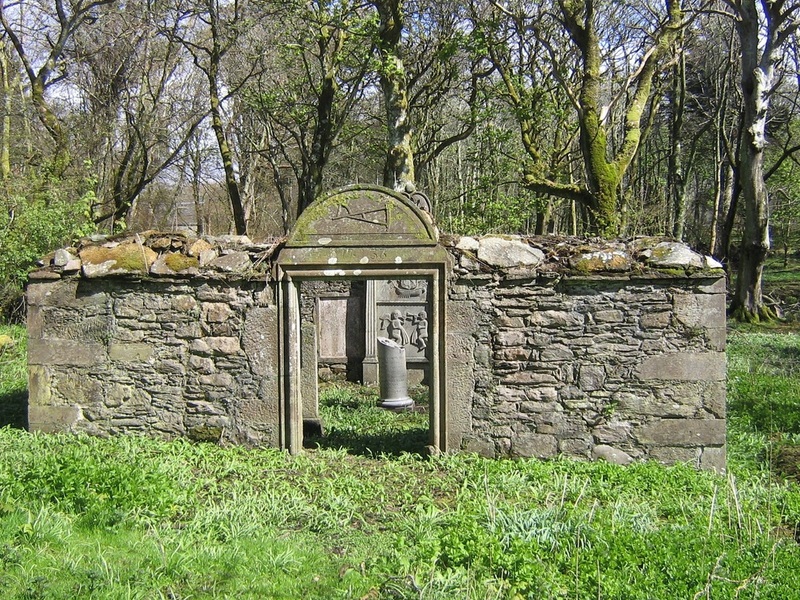 Scotland's historic gravestones range from modest headstones to imposing mausoleums. 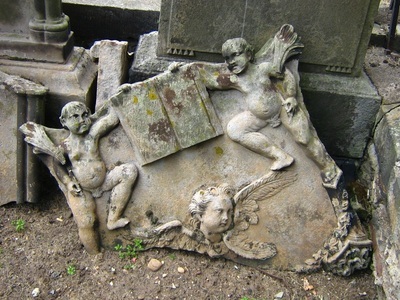 Little is known of churchyard monuments prior to the Reformation. 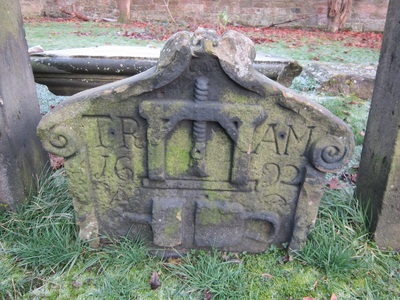 After the late 16th century a range of gravestone forms began to appear in our churchyards, and subsequently in other types of graveyards. Forms included mausoleums, mural monuments, table-tombs, ledger stones and headstones. 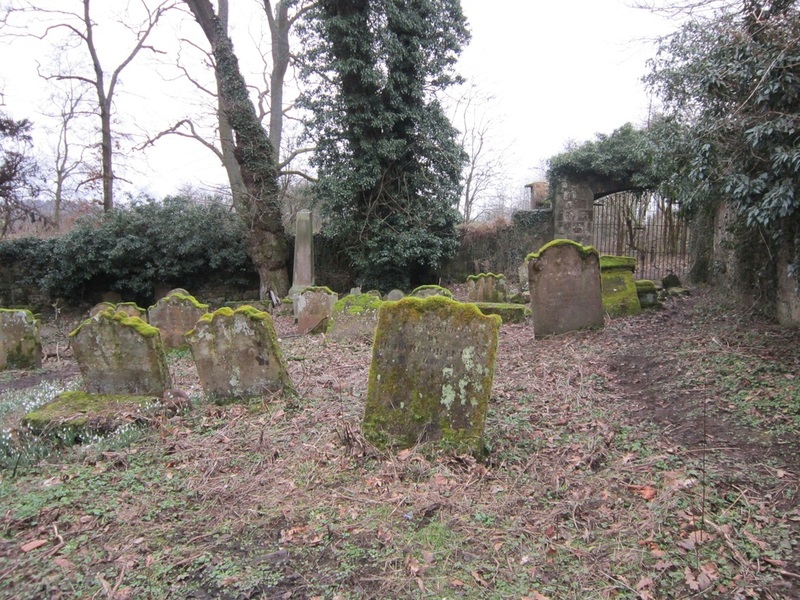 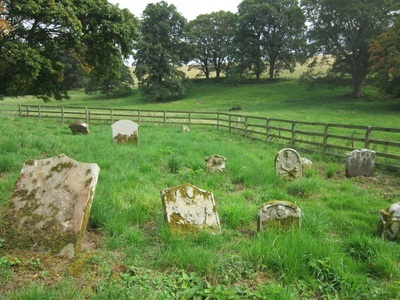 Their numbers remained relatively small until the later 18th and 19th centuries when there was a boom in erecting gravestones, in particular headstones. 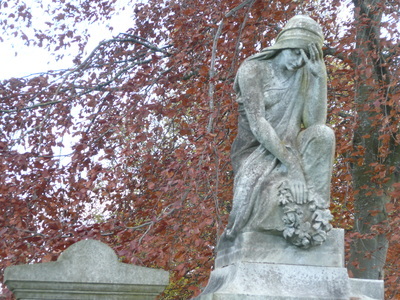 Different monument types enjoyed defined periods of popularity and some could even be revived. 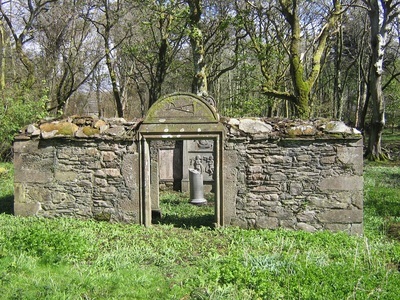 For example, some medieval forms, such as altar-tombs and coped stones, came back into fashion in the mid-19th century. 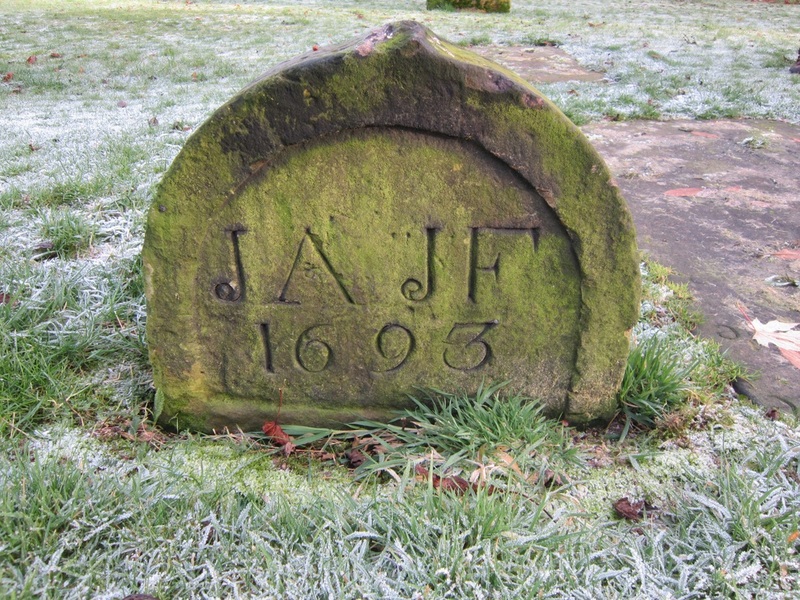 Many 17th and 18th-century gravestones bear highly detailed vernacular carvings. 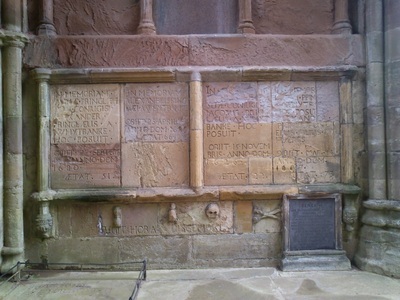 As well as being of art-historical value in their own right, such carvings can also be read as social history records. 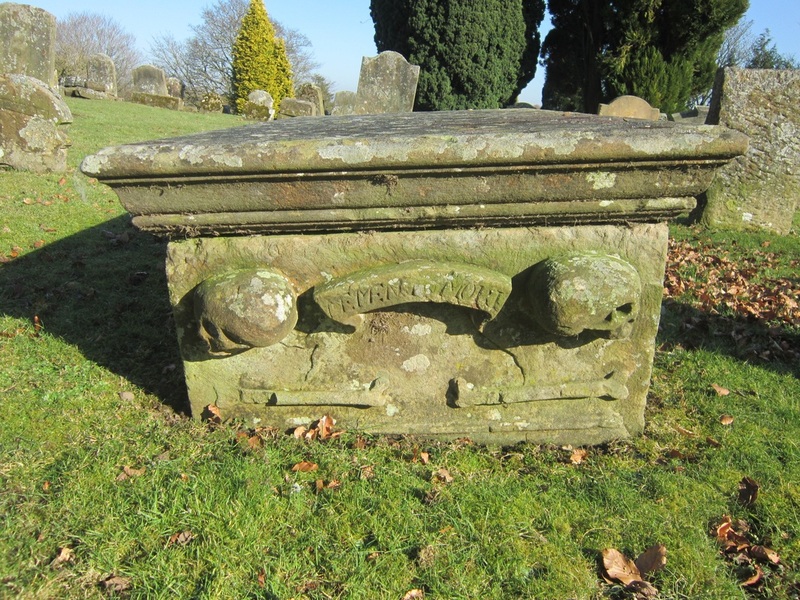 Across many parts of Scotland it is possible to find the symbolism of mortality and immortality, trade emblems, portraiture, heraldic arms and religious scenes. 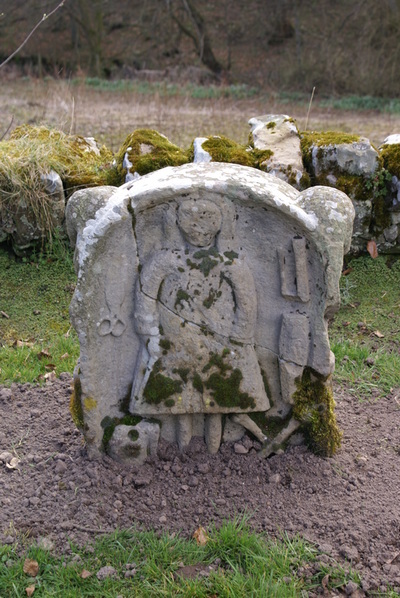 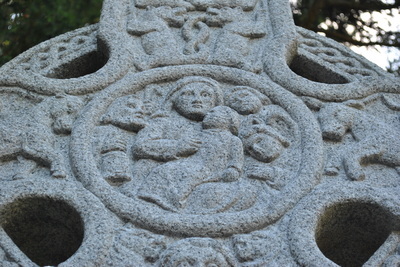 Carvings may be local or regional in style, and until the 19th century were usually cut from local stone. 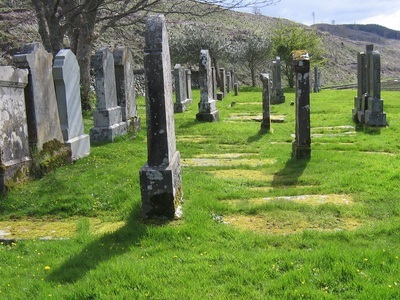 Gravestone inscriptions offer a resource for social history, place names, local history and genealogy. In some cases inscriptions can preserve local dialects and accents. With the development of the printing press, 19th-century lettering styles began to move away from script-influenced forms. About the same time monumental masons increasingly manufactured gravestones using printed pattern books and worked with foreign, rather than local, stones. S Tarlow (2001). Bereavement and Commemoration: An Archaeology of Mortality. 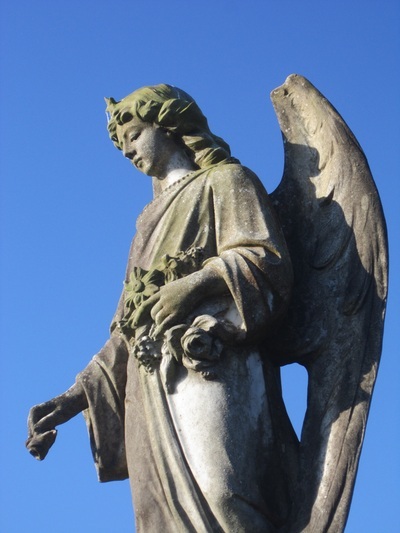 Oxford: Blackwell Publishers. 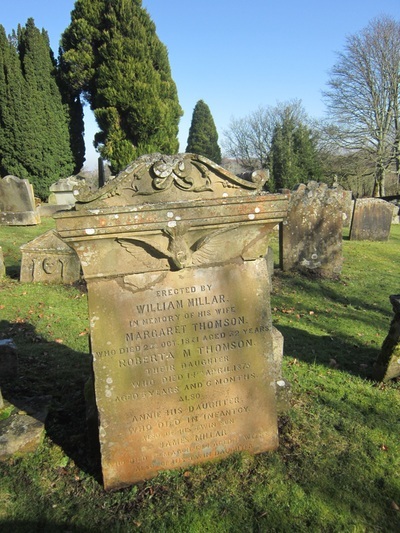 G Thomson (2001). ‘Research in inscriptional palaeography (RIP). 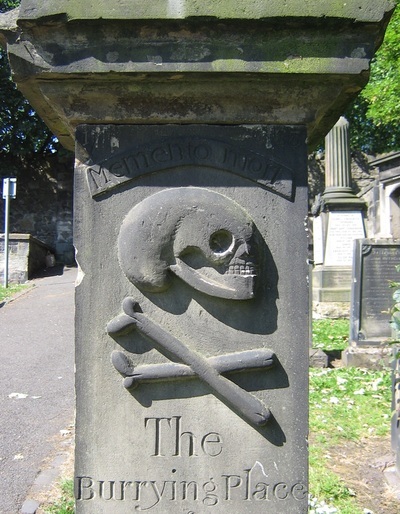 Scottish tombstone lettering 1241–1855: methodology and preliminary analysis’, Proceedings of the Society of Antiquaries of Scotland 131, 349–73. 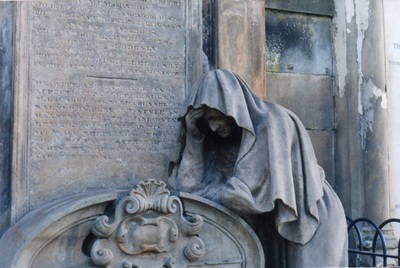 B Willsher (1985, revised 2005). 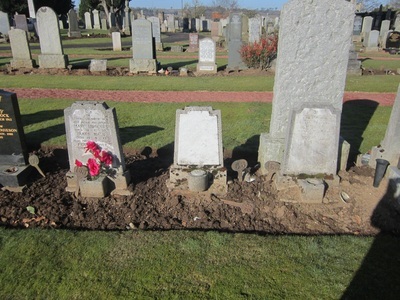 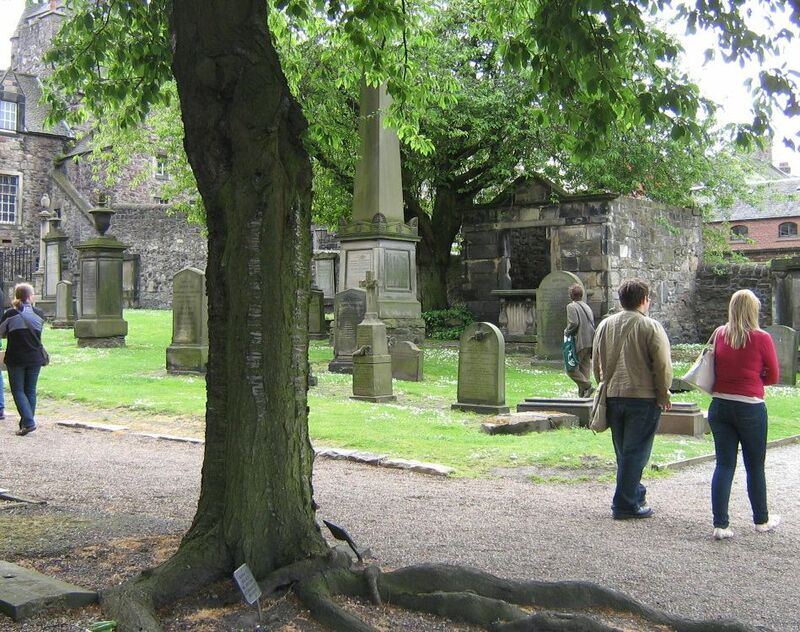 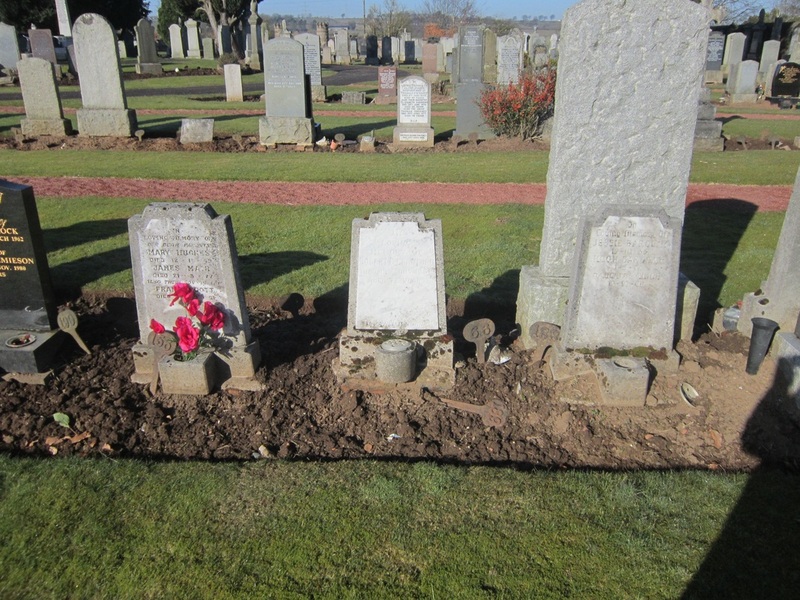 Understanding Scottish Graveyards. 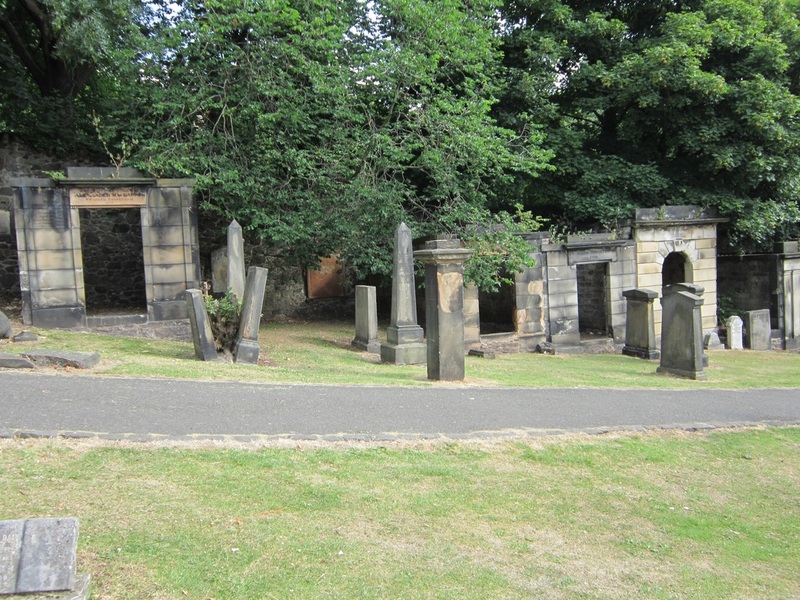 Edinburgh: Council for Scottish Archaeology.